SBM hydraulic cone crusher (sales code: HPC) is a world-class cone crusher developed from the latest technology of German. The HPC cone crusher not only improve the productivity and crushing efficiency, but also broaden the application area, the hardness of materials range from limestone to basalt. The HPC cone crusher machine has a one and only crushing performance in the realm of medium-size crushing,fine crushing and super fine crushing. The HPC cone crusher is the improved type of spring cone crusher and can be used to replace ordinary hydraulic pressure cone crusher in the line of mining and construction.It is the most ideal crusher equipment for large stone crushing factory and mining industry. VSI crusher, or vertical shaft impact crusher, is a kind sand making equipment used in limestone crushing plant as fine crusher, manufactured sand. 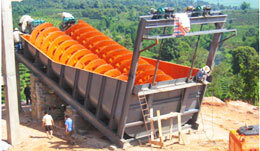 SBM VSI crusher is of high efficiency and high performance crusher, low in maintenance and low operating cost. Our high proficiency VSI crusher is designed and manufactured to produce fine limestone sadn with high productivity output. The final product is of cubical shape with grounded edges, which is widely used in concrete, building, construction. 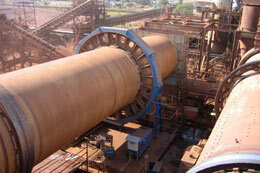 Efficient crushing hammer mill consists mainly of frame, rotor, hammers and grizzly bars and other components. The frame includes upper part and lower parts, which are welded by steel plates after cutting, the remaining parts bolted into one. High manganese steel liners are studded with inside the frame, to facilitate replacement for a new liners after worn; on the main shaft are installed several groups of the spindle distribution of the hammers, which consists of rotor with the axle of hammers and rotary table.